The trip to Hawaii didn’t always go smoothly. We ported and we were all going on the same ship. This was really under tight orders because they were very careful about us. On the ship, which often happens when people are crowded together, it happens. A case of spinal meningitis broke out and we were quarantined for six weeks in Hawaii. 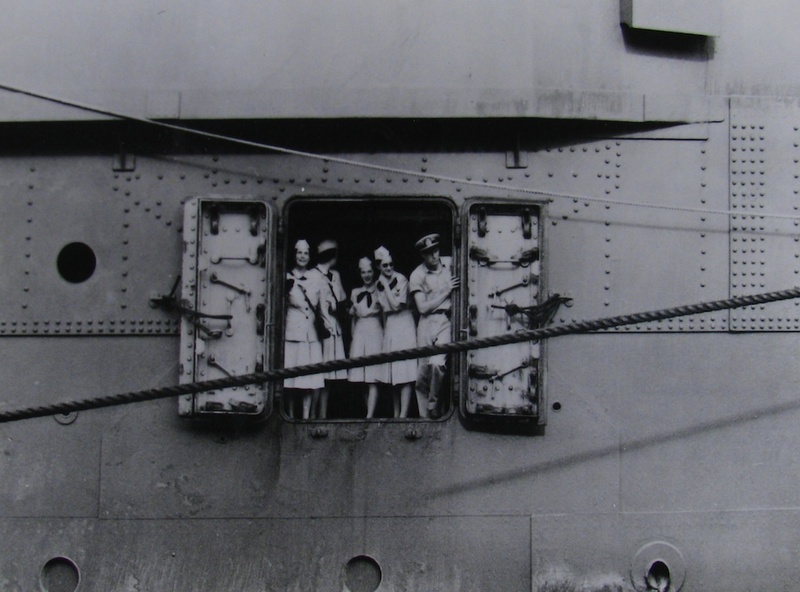 This photo shows WAVES crowding an open hatch door even before their transport ship docks in Hawaii. It comes from the National Archives.